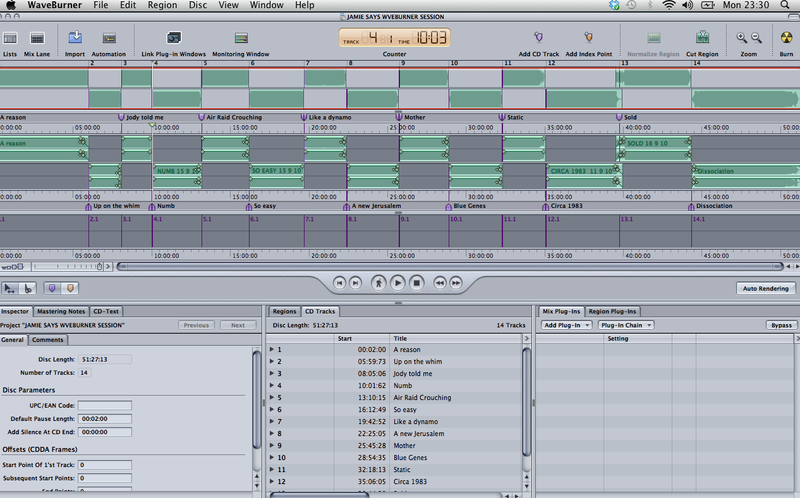 Spent a while tweaking gaps between tracks on the Jamie Says album. Astounding the difference a couple of milliseconds can have on the flow of the album. Not something I’ve had to do for a while… not many physical albums released: much more MP3 stuff. An oversight on my part, but .. what’s the album actually called?! To sort the gaps and final fade ins and outs I use Waveburner. Used to be lots of money, but now bundled in with Logic. Ace.